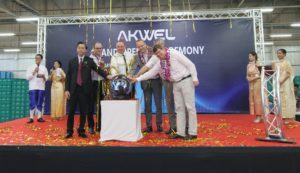 The AKWEL Group inaugurated on November 29th its first factory in Thailand, located in Rayong province, in the presence of local authorities (Hemaraj Industrial estate authority of Thailand, Rayong Free zone custom), of its customers Auto Alliance Thailand (joint venture between Ford Motor Company and Mazda Motor Corporation), and FORD Thailand and companies that intervened on the site. 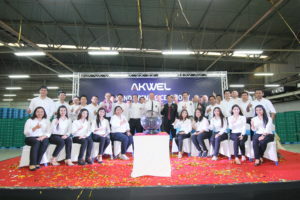 The construction of a unit in Thailand is a response to AKWEL’s strong desire to offer its car and truck manufacturer customers solutions that are as close as possible to their production and delivery sites. The Rayong plant delivers coolant hoses for the latest FORD vehicles. It currently employs almost 100 people. 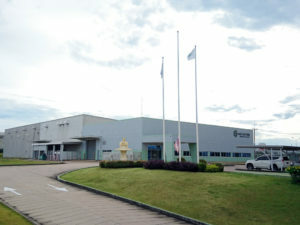 The 5,700 m2 of Rayong’s newly inaugurated site, is currently dedicated to assembly of complex hoses. By 2020, the plant will be specialized in rubber processing (extrusion, forming), which complements the Group’s expertise and product range.